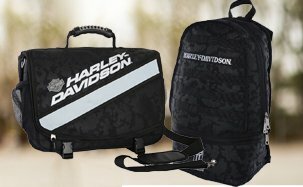 In 2013, Harley-Davidson Military Sales decided to take the spirit of the overseas Harley-Davidson program and share it with our passionate veterans, military supporters, and Harley-Davidson riders through the Harley-Davidson Military Sales online apparel store. 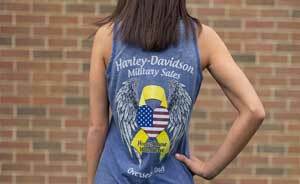 Our team custom designs genuine Harley-Davidson apparel with military support graphics, allowing our customers to join us in celebrating, honoring, and commemorating our brave U.S. Military members. As a company, and more importantly, as proud military supporters, we’re delighted to be able to give back to the military community in a number of ways. 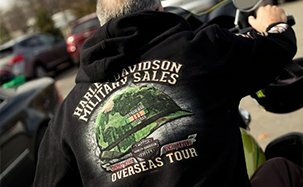 A portion of every vehicle sold by the Overseas Military Sales Group is returned directly to the military community. The OMSG Associates also hold fundraisers throughout the year, proudly donating all proceeds to the Wounded Warrior Project. Aside from financial donations, our company also supports the military through Morale, Welfare, and Recreation (MWR) events. MWR covers a range of community support and quality of life programs for the Armed Forces and their families at the more than 2,000 facilities on U.S. military bases worldwide. Military AutoSource hosts many MWR events throughout the year on military bases around the world. This past Fourth of July, as millions of Americans celebrated at backyard BBQs, Military AutoSource hosted MWR events in Afghanistan, Djibouti, and Germany. 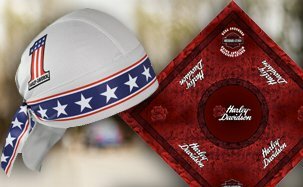 One event hosted in Bagram, Afghanistan was the “Operation Riding Freedom” event where one lucky Marine even walked away the winner of the 2015 Harley-Davidson Street 750. We are very proud of our great relationship with the U.S. Armed Forces, and it is an honor for us to give back to the brave men, women, and families who give so much for us.